Though most homeowners only know about one type of roofing shingle, the reality is that there are many types of shingles that run the gamut of materials; some more long-lasting than others. The basics of selecting roofing shingles include choosing a color. While this is viable for aesthetics, the type of shingle that you choose based on material and lifespan is of far greater concern. Here is a quick and simple guide to selecting roofing shingles. Asphalt Shingles: Most common of all shingles, and the least expensive as well. Even though they last 25-30 years, this is the least amount of time versus all other types of shingles. Wood Shingles: Slightly more expensive than asphalt shingles, wood shingles bring with them the natural beauty wood. Wood shingles last a minimum of 30 years. Slate Shingles: Originating from quarries, slate shingles are incredibly popular in the Northeastern part of the US (though available anywhere). They are nominally more expensive than other types of shingles but last 50+ years. Synthetic Slate: For homeowners who want slate, but don’t necessarily want the cost, synthetic slate fits the bill. Though still more expensive than other types of shingles, they can still last 40+ years. 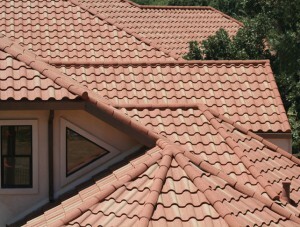 Tile Shingles: Incredibly popular in the Southwest, tile shingles are mostly exclusive to domiciles in that area. Coming in at the top of the price range in terms of material cost and installation, tiles shingles outlast all other types of shingles, enduring a phenomenal 80+ years. Remember, when it comes time to replace your roofing shingles, you have options. Considerations like materials, cost, and longevity should factor into your choice. For more information on how we can help you with your next roofing project, please contact us any time. 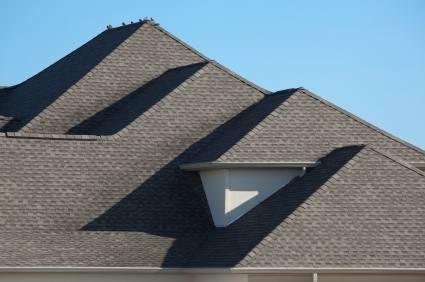 Your roof plays possibly the most important role in your entire home system. It shields you from the elements, holds much of your home together, and helps seal in your home’s ambient temperature. With your roof playing such an important part in the well-being of your household, it makes sense that you would want to take care of it. If someone’s roof springs a leak, their first instinct may be to pull out the old ladder in the shed, climb up, and fix it. Though many like to believe themselves handymen, this may not be the best decision. Read on to discover why you should always hire a professional roofing contractor as opposed to trying a DIY solution. Climbing onto your roof and hunting for the source of the leak isn’t safe to begin with. Now imagine hauling your toolbox or other materials up onto the roof to make the repair. If you hire a professional contractor, they know how to safely move around on the roof without risking a fall or other injury. Plus, if a professional falls, they’re usually covered by insurance. If you fall, you may be out of luck. A professional contractor will likely have years of experience to go by and can quickly and easily make an assessment of what needs to be done for your roof and how best to tackle the problem. On the other hand, you could turn what would have been a three hour job into a weekend long project for yourself. Making a mistake can end up costing you more money in the long run than if you had just hired the professional first. Don’t take the risk of causing more trouble for yourself and call someone in to at least assess the problem and give you their professional opinion on the matter. With their professional skill, experience, and the right tools, a roofing contractor can make quick work of your leaky roof. This will save you both time and money from not having to try many unsuccessful band-aid solutions. Get the job done right and you won’t have to worry about it for many years to come. If you would like to learn more about our services as residential and Commercial Roofing contractors contact us today!